Wyatt Rory Hume, DDS, Ph.D.
(SALT LAKE CITY)—An internationally acclaimed clinical scholar and leader who has served at the highest administrative levels in dental schools and universities worldwide has been named dean of the University of Utah School of Dentistry. Wyatt Rory Hume, DDS, Ph.D., begins his new role on May 15, 2016. Hume has led dental schools and served in top posts at universities in Australia, the Middle East and the University of California school system for more than 30 years. He has focused his research on how best to avoid adverse effects during the restoration of defects in teeth. His outstanding research and administrative experience will help the University of Utah’s School of Dentistry–now in its third year–grow and flourish in its goal to become a top U.S. dental program, according to Vivian S. Lee, M.D., Ph.D., M.B.A., Utah’s senior vice president for health sciences and CEO of University Health Care. Hume received his dental and doctorate degrees from the University of Adelaide in South Australia and then went to the University of California, Los Angeles (UCLA), School of Medicine as a postdoctoral fellow in pharmacology. He joined the UCLA School of Dentistry faculty in 1977 where he began studying the release of chemical components of materials used in dentistry, and their toxic and therapeutic effects, into the body. In 1984, Hume began his responsibilities as an administrator first as a department chair and dean at the University of Adelaide and the University of Sydney. He later led the University of New South Wales, in Sydney, as its vice chancellor and president. After his initial teaching positions in Australia, Hume became a department chair at the University of California, San Francisco (UCSF), dental school and then dean of the UCLA School of Dentistry. He received multiple teaching awards at UCLA and UCSF. He later served as executive vice-chancellor at UCLA and as vice president for health sciences, provost and executive vice president and chief operating officer for the entire 10-school University of California system. 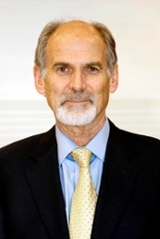 In addition to his work in Australia and the United States, Hume served as provost of United Arab Emirates University in Abu Dhabi and as a director in the research division of the Qatar Foundation in Doha, Qatar. Hume is a member of the Academy of Restorative Dentistry, the preeminent organization in his clinical field, lectures internationally and is editor of the textbook “Preservation and Restoration of Tooth Structure,” now in its third edition. The School of Dentistry welcomed its first class in August 2013, and moved into its new facility, the Ray and Tye Noorda Oral Health Sciences Building, in April 2015. The school’s first class graduates in 2017. With the addition of the dental school, the University of Utah now offers degrees in the full range of the health sciences: medicine, nursing, pharmacy, health and dentistry.